"The LOUNGE" is located on the left side wing on the 2nd floor. 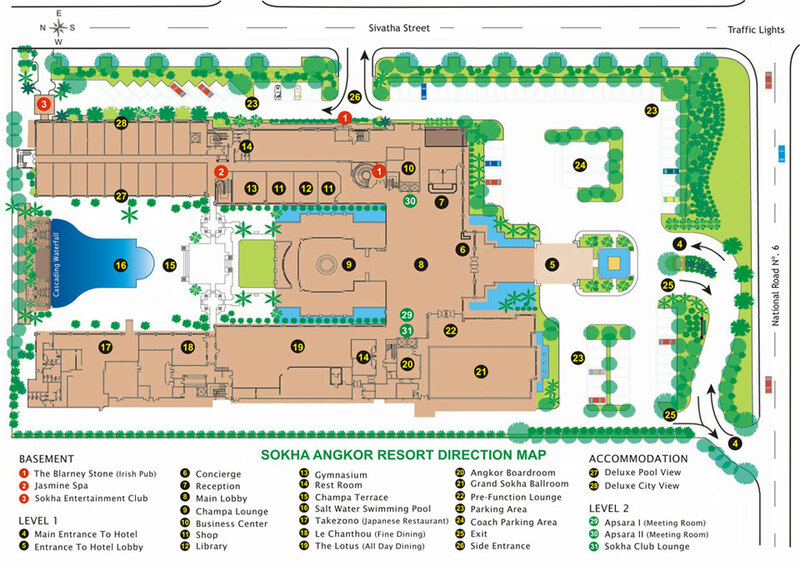 It is designed with an infusion of Khmer elements, and offers all the necessary service functionally for both business and private use during your stay at the Sokha Angkor Resort. 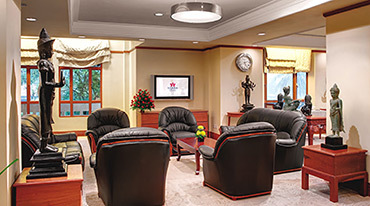 "the LOUNGE" has an impressive ambiance, appropriate for business meetings, preparing for a presentation or simply a soothing place to unwind in between your busy schedule. 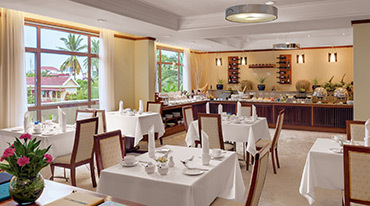 Enjoy a sumptuous breakfast and beverage for a retreat or business talks at "the LOUNGE". Get the exclusive card when you stay in Executive Floors and Suites then enjoy the exclusive benefits and services from your stay. The LOUNGE offers a wide variety of services and facilities you would never forget. Complimentary local calls (excluding toll free calls). 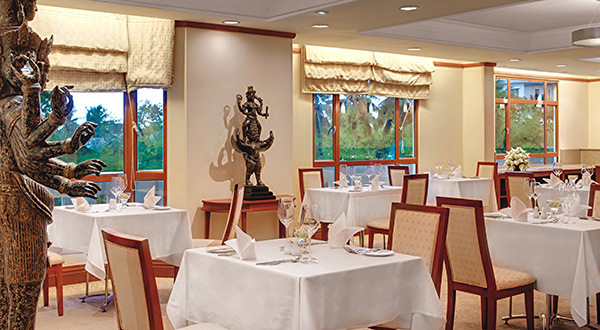 Private in-room facsimile with designated line upon request and subject to availability. First order complimentary pressing service (maximum 4 pieces). Express service for laundry upon request without additional charge. A selection of pillows from our pillow menu. Free wireless Internet connection (using your own laptop). iMac for free Internet use. Rental of Executive Floor Conference Room (US$50* per hour and first hour free for bookings of 2 or more hours). 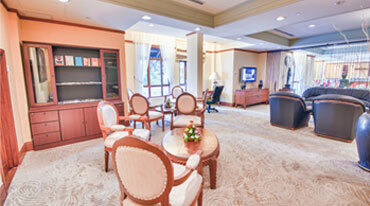 Dedicated Business and Lounge Area for Internet Access. Library collection of books and magazines. Rental of mobile | hand phone (with applicable call charges). Flight Arrivals and Departures Screen (live feed from Airport). 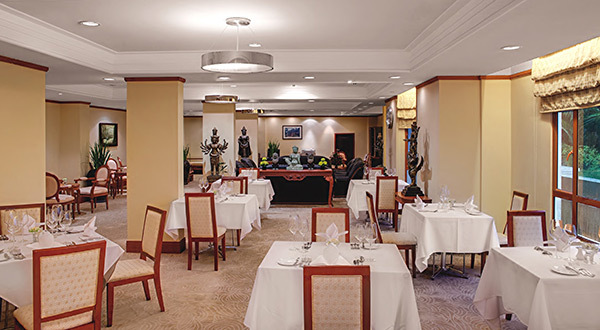 Your Guests	 Other services available at “the Lounge” Your guests and visitors are welcome to enjoy the benefits of “the Lounge” when accompanied by yourself at a fee of US$30* per guest, which will be posted to your hotel account. Contact Please contact us at extension 2060 for any further assistance. We certainly look forward to making your stay with us memorable.